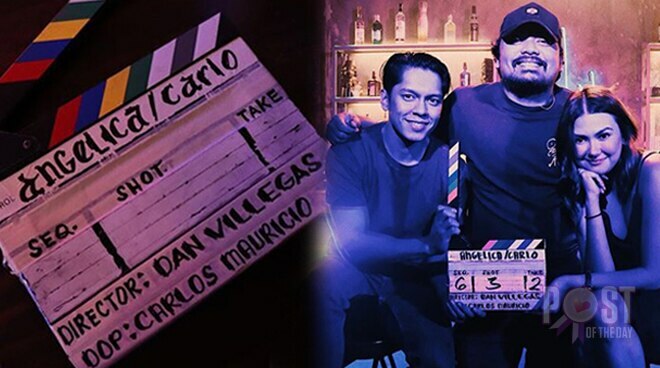 Former real-life couple Carlo Aquino and Angelica Panganiban have reunited and are now gearing up for their movie together, which will be directed by Dan Villegas. This will also be the first film to be produced by Black Sheep Films. Carlo took to Instagram to thank those who made it possible. Unang pelikula namin ni Angge ay ihahandog sa atin ng @black_sheepPh na unang pelikula din nilang ilalabas. Sa direksyon po ni Dan Villegas 🙌🏻 wooop!! Maraming salamat po dito. Carlo and Angelica’s tandem first rose to fame during the 90s and netizens were pushing them to make a film together when both of them became single this year.